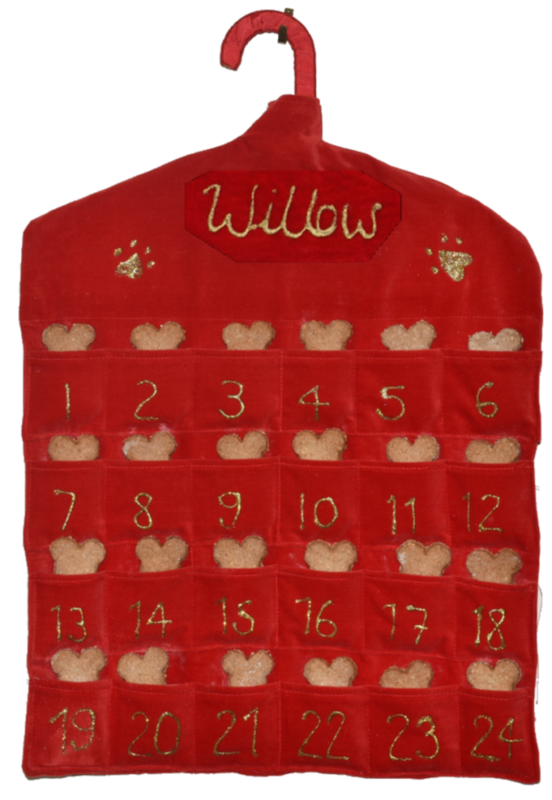 Stunning Velvet Christmas Advent for your Dog, personalised with your dogs name or names if you have more than one dog. Comes filled with Handmade Apple & Cinnamon Bone shaped Biscuits so not only does it look lovely but it also makes your house smell lovely too. If you have more than one dog and want extra bones we can supply those to fill the advent.